•To associate newly entered data with a task, when required by the format. A new task in EDGE can be created by clicking the New Task button on the main menu. 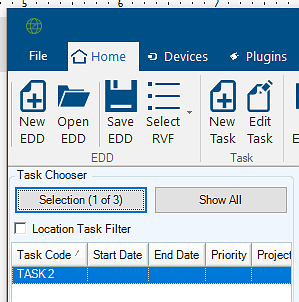 If the current EDD contains no tasks, a new task can also be added by clicking the Add button in the Task Chooser/Filter control. The following form will be shown, allowing new task creation (order and number of columns depends on format used). •The value entered in Task Code must be unique and its length cannot exceed the limit set in the format. EDGE will enforce both constraints, displaying a warning if the value is invalid. •Newly created task will be automatically selected. 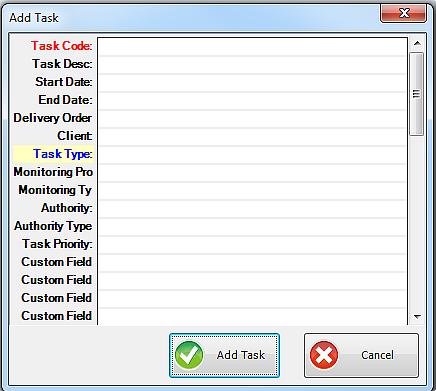 Task selection is performed on the task chooser/filter control by clicking the task code. Any new task dependent data will be associated with the currently selected task. The following image shows an EDD with three (3) tasks, Task 2 being the one selected. Note: EDGE allows only one task to be selected. If the current EDD has task(s) defined, but no task is selected when entering data, EDGE will prompt the user to select a task when a new data row is being added into the data tab requiring a task. At that time, the user can either select an existing task or create a new one. EDGE can filter down the EDD data for a subset of tasks present in the EDD. 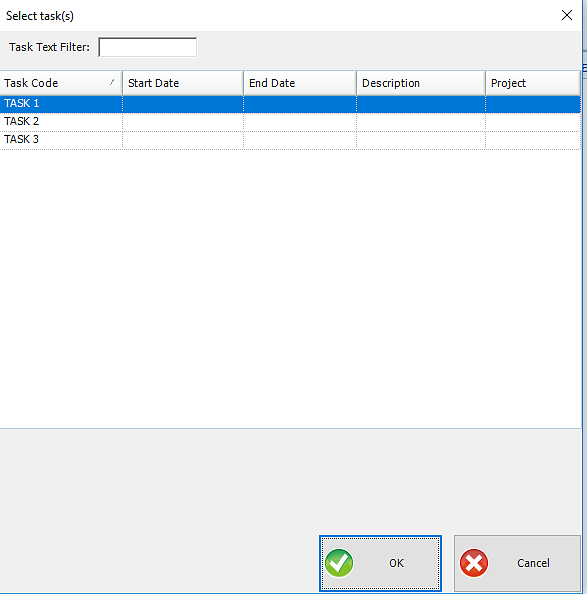 The list of filtered tasks can be defined via the Task Chooser/Filter control. Clicking the Selection (Filter) button will show the form, allowing a selection. Clicking the Show All button disables filtering and resets the task selection. Note: The Selection (Filter) button displays the total number of tasks as well as the number of currently selected tasks. If there are no tasks, the Selection (Filter) button will be replaced by the Add button, allowing the user to add a new task.